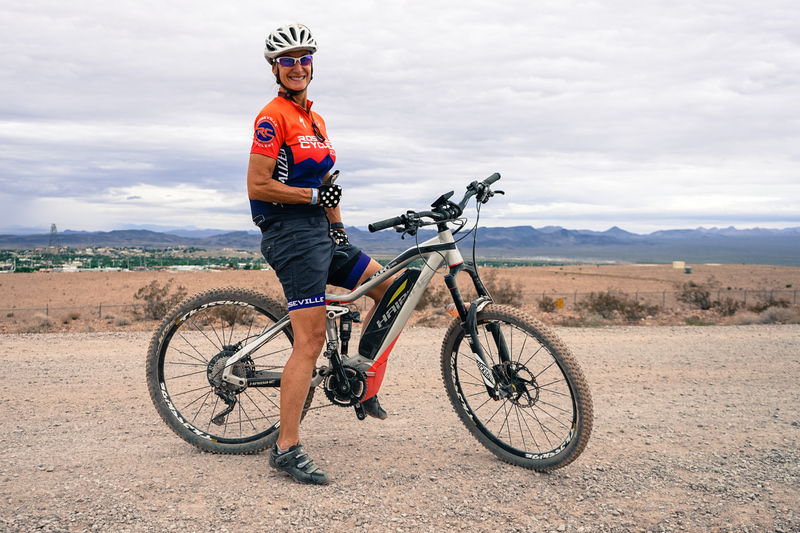 If you’re a jaded bike-industry insider, you basically have two options: complain about Interbike, or complain about people complaining about Interbike. But the fact is, for a big segment of the North American retail and consumer base, this show is still a big deal. 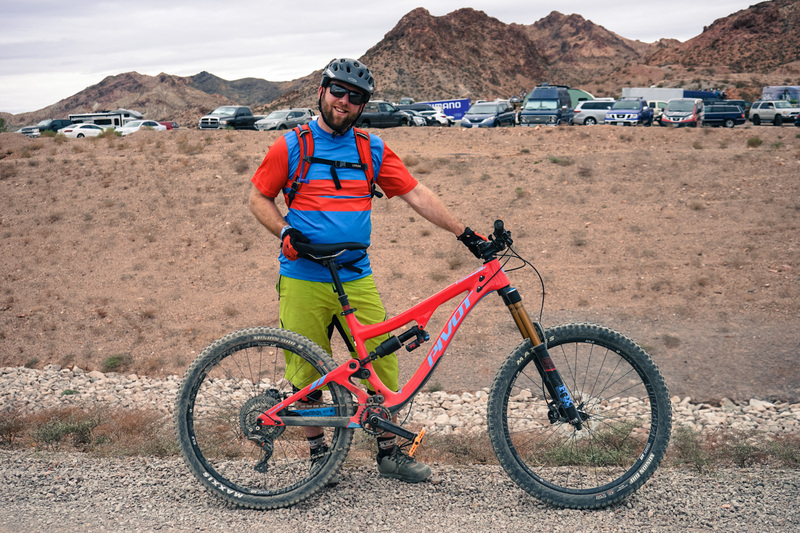 Nowhere is the contrast between industry and retail attitude clearer than at Outdoor Demo, which Interbike puts on in the days leading up to the indoor show. 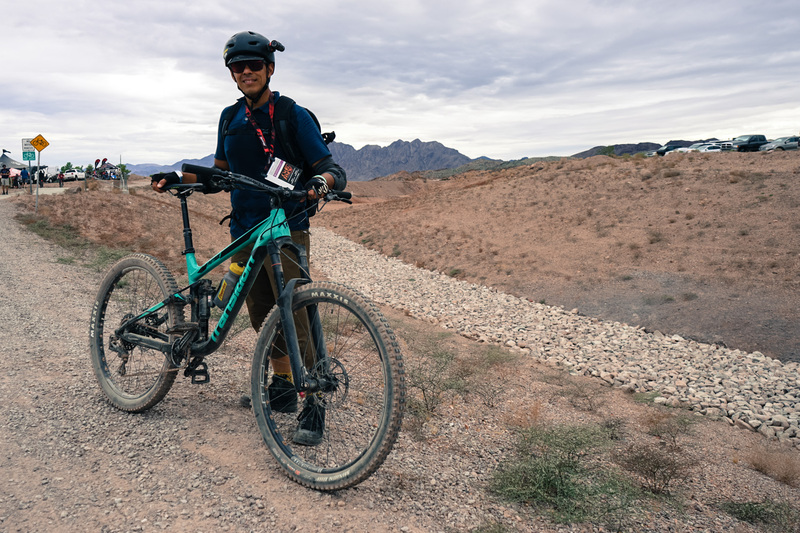 The consumers and retail employees testing bikes and walking the expo (however reduced in grandeur it may be this time around) seem psyched to be there, and genuinely grateful for the opportunity to ride so many different bikes in the span of a couple days. Or maybe it’s just that there was a healthy cloud-cover on Tuesday, which shielded attendees from the soul-shriveling rays of the Nevada sun. Whatever it was, there were a lot of happy people out there. Here’s what some of them had to say. 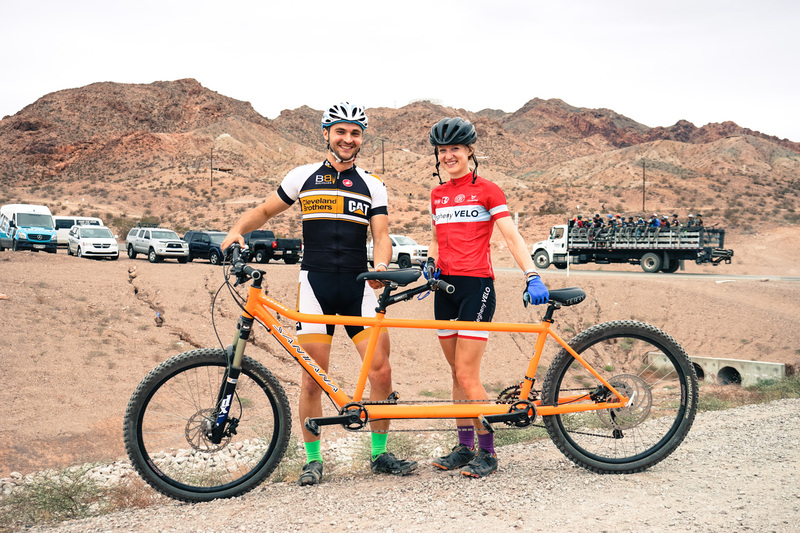 Sampson and Hayley rolled the dice on a tandem experience. 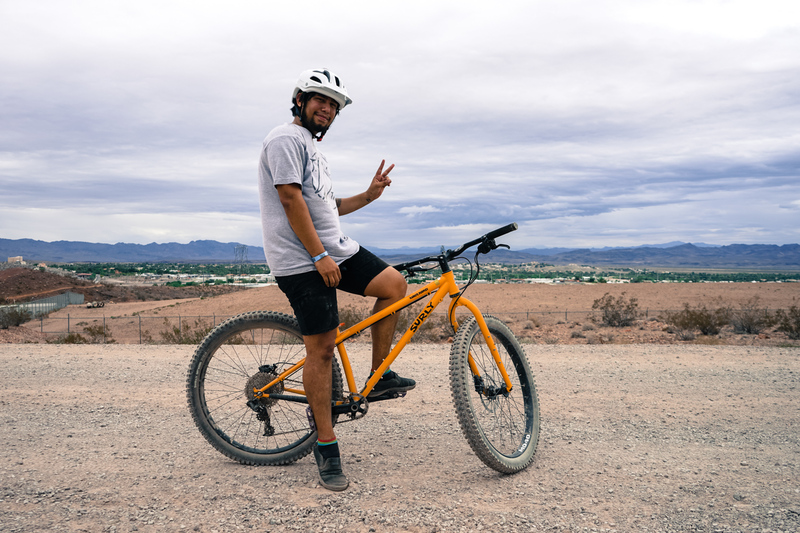 Don tried out Haro’s plus-size hardtail. 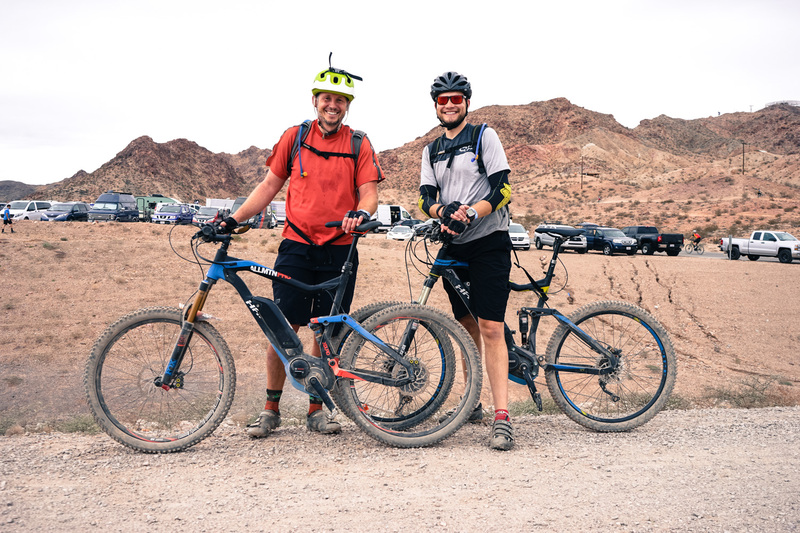 Seth and Mattias had their first E-MTB experiences. 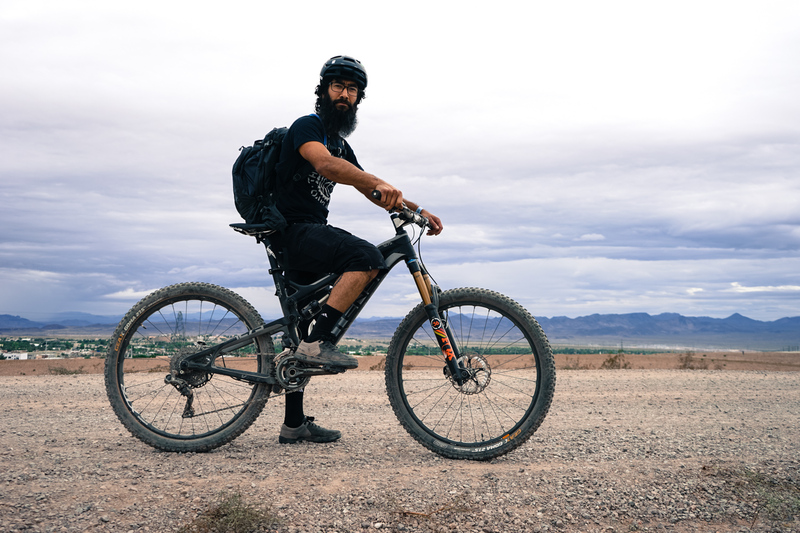 Seth had some seatpost issues on his fourth demo ride, which was aboard an Ellsworth. 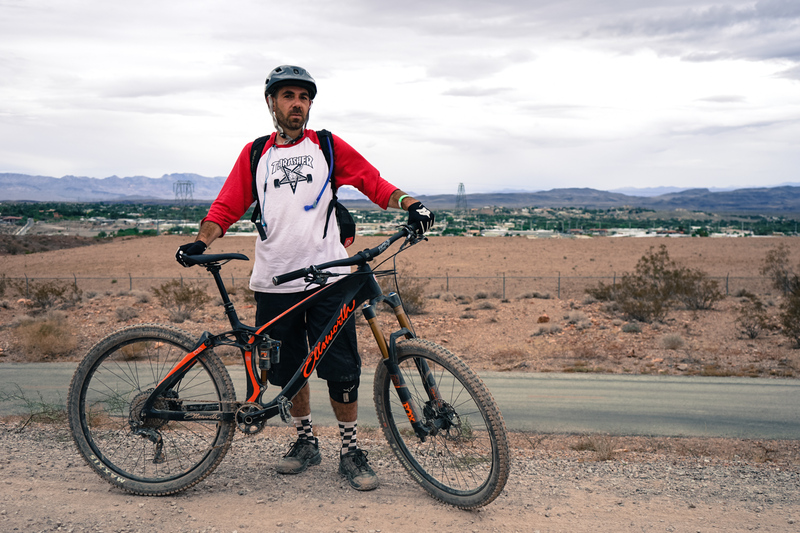 Rahm is out in Vegas checking out bikes for his shop in San Diego, and is stoked to see Ellsworth back in the game. 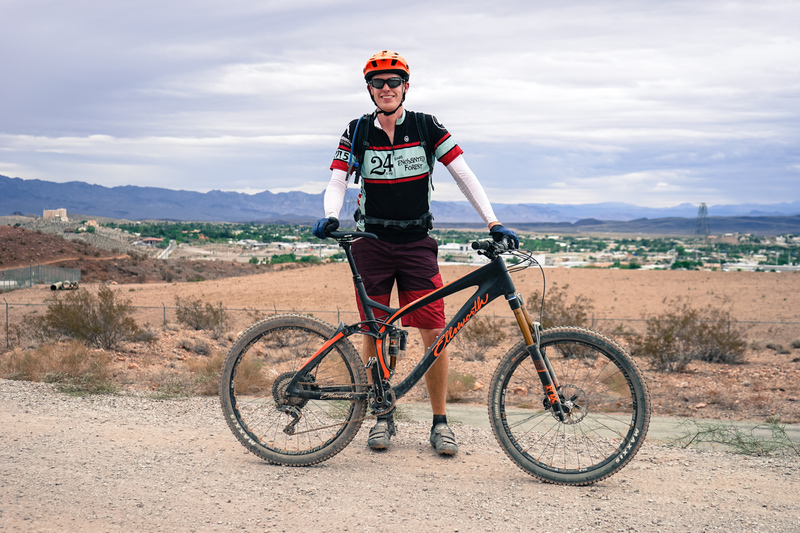 Randy from Lake Tahoe tried out plus-size and gearbox tech all in one bike. 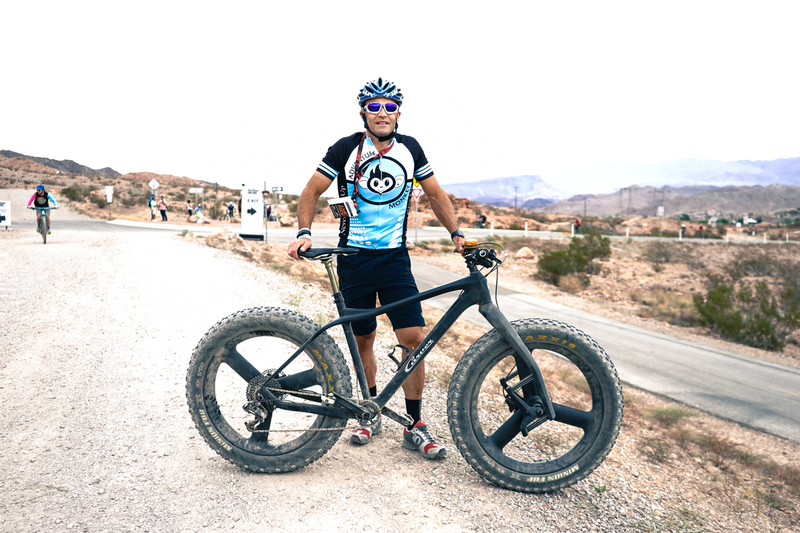 Scott took a spin on Carver’s all-carbon fatbike. 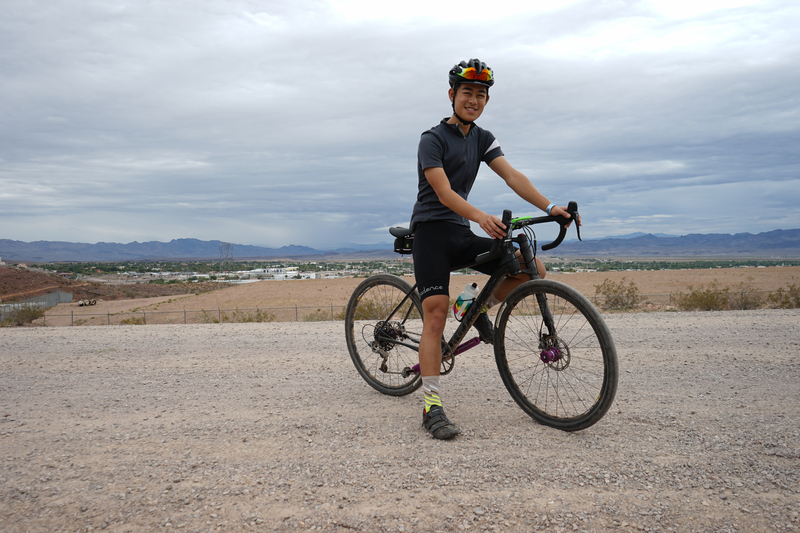 Sara from Sacramento, CA, fell for Cannondale’s Bad Habit (not pictured here). 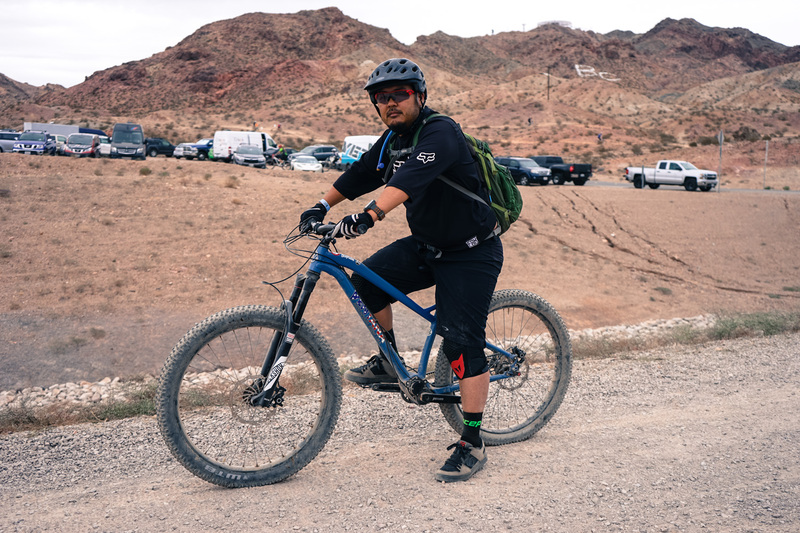 Brent came out from Los Angeles and took a long ride on a Cannondale Slate. 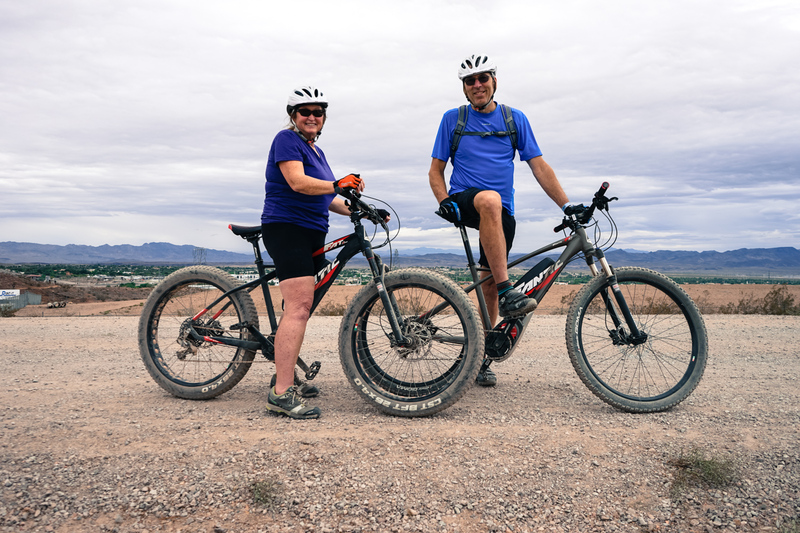 Doug and Kathy from Winthrop, Washington, tried out some E-bikes and some fatbikes. Jason came down from Oakland. Scot and Rick came out from Cincinnati, Ohio. 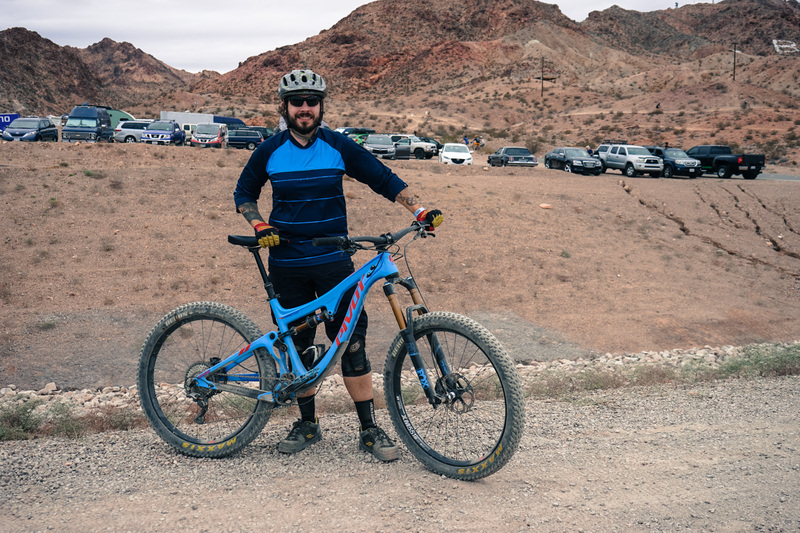 Andrew, from Los Angeles, is a fan of Surly’s new Karate Monkey. 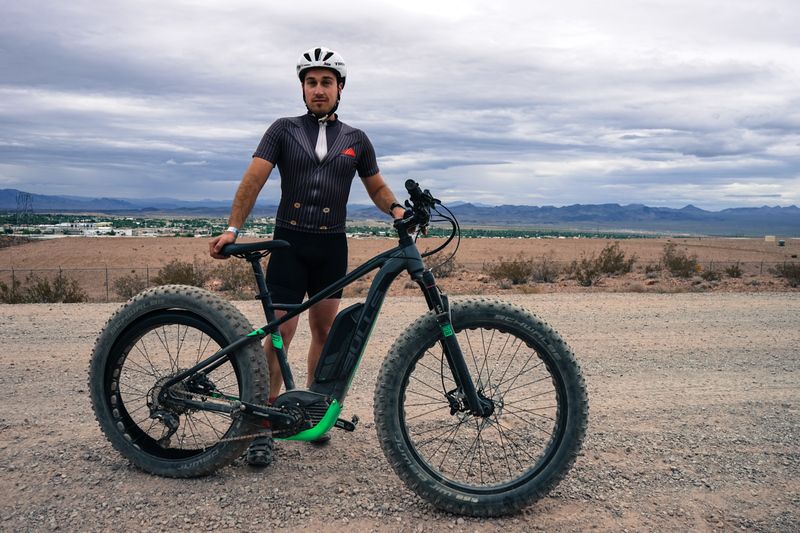 Apollo, owner of Danielson Adventure Sports in Danielson, Connecticut, had some hard luck on his E-fatbike ride. 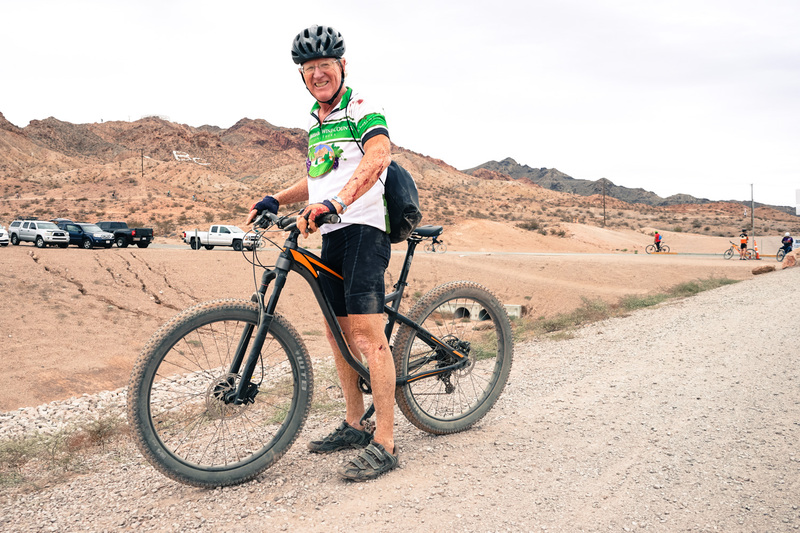 “I rode a lot of great bikes today, it’s just, I rode this one maybe a little too hard. Went right into a rock, and pinched it. 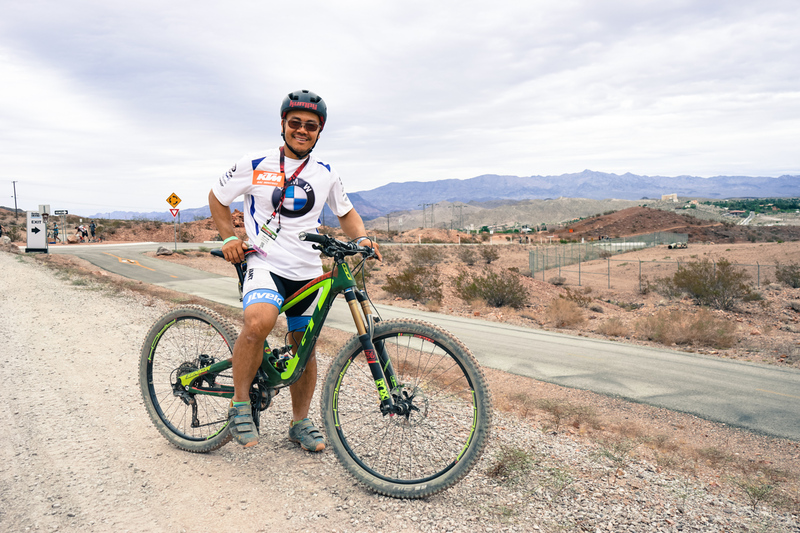 But it’s all good,” said Apollo, who added that this is not the first time he’s flatted a fatbike tire. 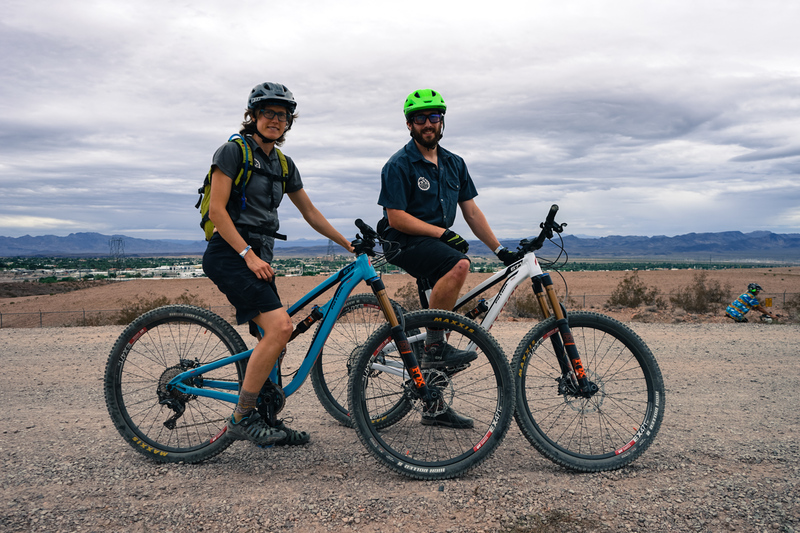 Chris and Melissa came out from Burlington, Vermont, as scouts for the Outdoor Gear Exchange. They were unimpressed by Patrol’s bikes. Your favorite bike so far? 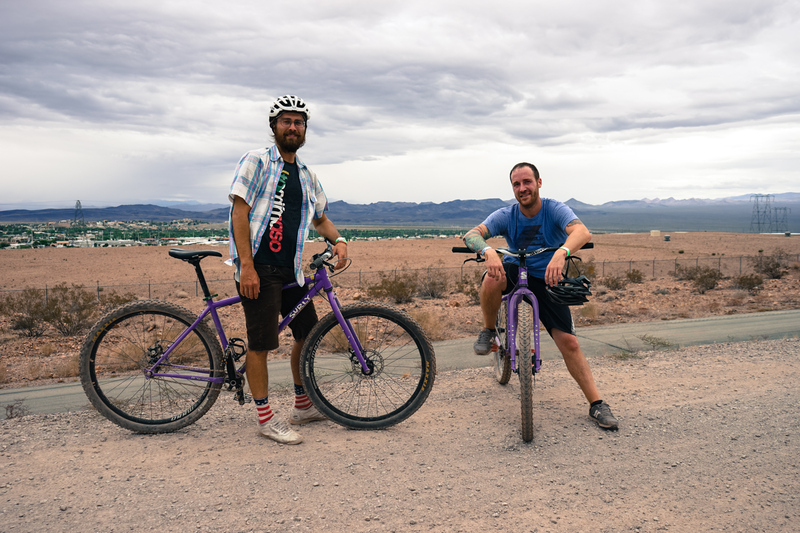 Nick and Jeremy from Tomaso bikes in Denver, CO, were two of many riders out on Surly’s Karate Monkeys. “I’m a one-by-ten guy so I was huffing,” remarked Jeremy. Robert wasn’t enamored with Transition’s Patrol. Kumpy Kump was pretty impressed with GT’s Sensor. Levi of Edmonton, Alberta, is sold on plus. 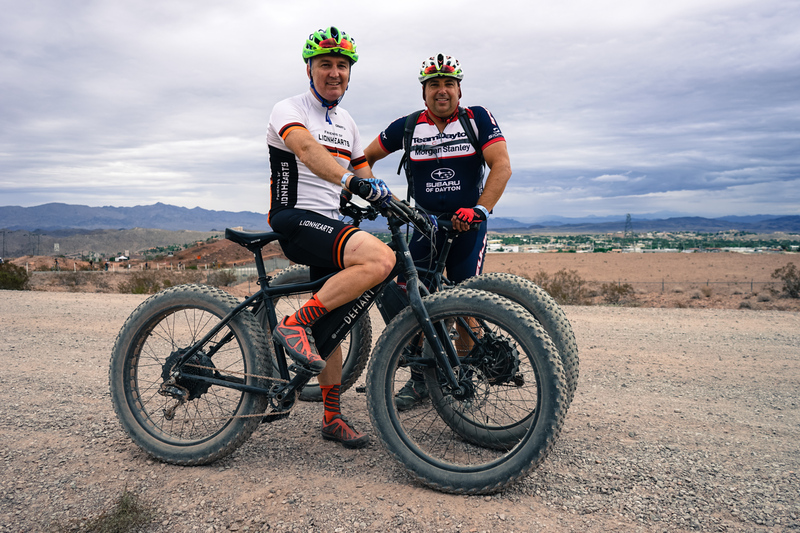 Jeff came to Interbike with Levi, his co-worker at Revolution Cycle in Edmonton. 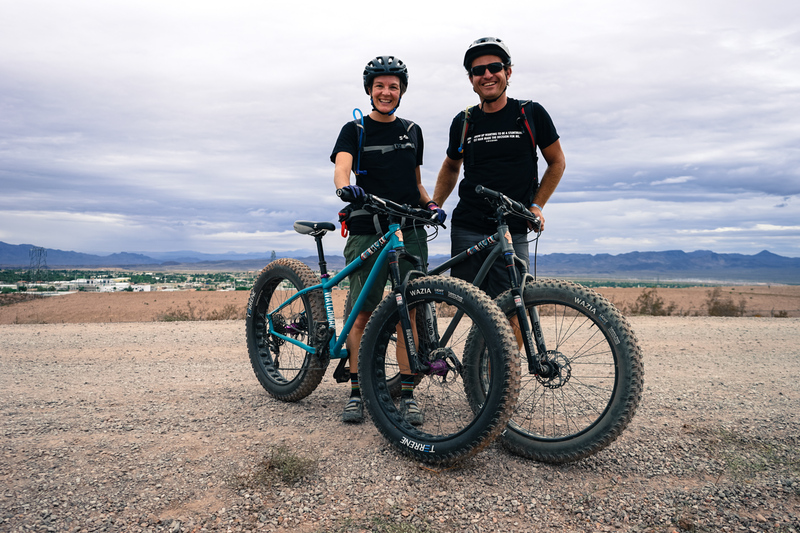 Kate and Phil got some time off from their bike-sharing program in Denver to come out to Interbike.